EurObserv’ER Renewable Barometers Europe is the world-leader for renewable energy use. If you’re interested in keeping an eye on the installed renewable energy generation capacity there, the EurObserv’ER website is a great site to check out. Its ˜Barometer’ series of sector-specific industry reports provides current (less than 12 months old) statistics on installed capacity as well as industry growth rates, commentary on national renewables policy, and rankings of industry leaders. Sectors covered by the barometer reports are photovoltaics, solar thermal, wind, hydroelectric, geothermal, biogas, biomass/biofuels, and municipal solid waste. The reports are accessible, easy to read, and include lots of charts and illustrations. The site is bilingual (English/French) and publishes a new barometer every two months. EurObserv’ER’s goal is to œmeasure… the progress made by renewable energies in each sector and in each member state of the European Union in an as up-to-date way as possible. Because of the rolling publishing style of the barometers, the data available is always close to current, and is framed clearly from both a global and (recent) historical perspective. The Barometer reports give a clear picture of how different countries are faring on a year-to-year basis, and whose renewable technology policies are successful not only with regard to uptake, but also in terms of economics. The German approach, for instance, with time-tapered feed-in tariffs, has been particularly successful in its ability to facilitate adoption without overinvestment and destabilisation of the overall economic performance of the industry. Additionally, the Website includes an interactive map of EU member states’ progress in each area. So how is the EU faring with its PV capacity? Well, between 2008 and 2009, solar (photovoltaic) power installation capacity increased by 52% throughout the EU member states, with, predictably, Germany as the leader at 9.8GWp at the end of 2009. Germany installed the most during 2009, with a 3.8GWp addition, followed by Italy at 1.02GWp, and the Czech republic coming in third for the year with about 400MWp. The acceleration of uptake across the EU is attributed partially to the new price competitiveness of relatively large-scale power generating systems such as the Strasskirchen (54 MWp and ranked as the world’s largest) and Lieberose (53 MWp) plants. 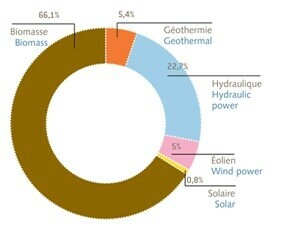 The EU, in total, is home to the vast majority of the world’s installed PV capacity at a whopping 78%. It seems that they are doing something right! Where does Australia stand in all this, then? Well, according to the Clean Energy Council of Australia, installed photovoltaic capacity nationwide stands at about 100MW. It is often pointed out that Australia receives more solar irradiation than any other country on the planet thanks to its latitude and huge swathes of dry, sunny desert, and that the country has been a leader in PV technology since the 70s. Previous post: Recap: Who is truly advocating Solar Power?